Saw someone slay her eye look on the red carpet, tried to recreate it, got it done but ended up looking less than amazing? Ok, so something so many of us babes forget is that not only do we come in all shapes and sizes, but our eyes do, too! To help you figure out what looks work best for you, here are the four most popular eye shapes, along with our lash picks for each. 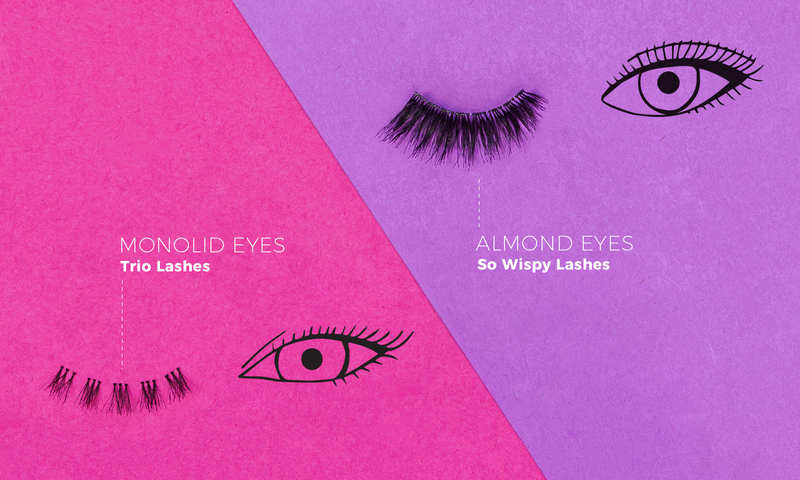 Perhaps the most coveted of all the eye shapes, almond eyes can pull off pretty much every look. Although most lashes work for you, we recommend So Wispy 08 for the ultimate in natural-looking volume. You have a crease above your eyes, the outer and inner corners of your eyes are level, and your eyelids cover the top and bottom of your iris when you look straight ahead. Celebrities with almond eyes include Kim Kardashian, Beyonce + Mila Kunis. Generally seen in people with East Asian heritage, monolids can pull off a dramatic smoky eye like no other! 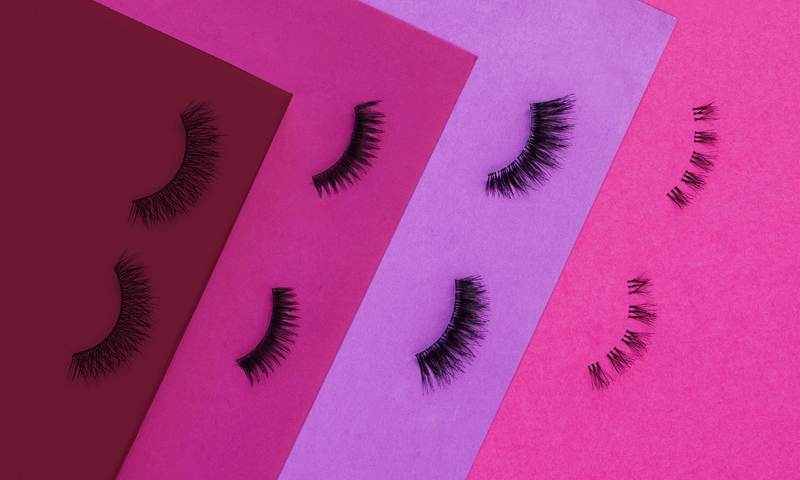 Pair yours with our Trio Collection lashes. You have no crease in your eyelids. Similar to almond eyes but with a higher outer corner, upturned-eye ladies can rock a cat eye all day every day. 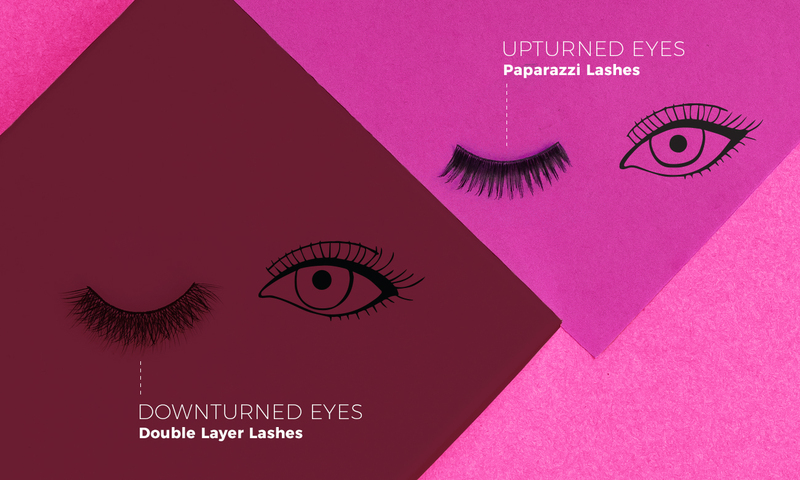 Try out our Paparazzi 01 lashes to make your look pop. You have a crease above your eyes, and the outer corners of your eyes are higher than the inner corners. Upturned-eye celebs include Angela Jolie + Taylor Swift. Some say downturned eyes can look a little sad like puppy dog eyes (lucky puppies are the cutest! ), but they’re perfect for playing dress up and can be worked to be given more of an upturned look with eyeliner and shadow. Top off your look with our dramatic Double Layer 04 lashes. You have a crease above your eyes, and the outer corners of your eyes are lower than the inner corners.